VERSATILE: The shawl scarf’s generous size offers the opportunity to drape, wrap and knot it in as many ways as you can think of. 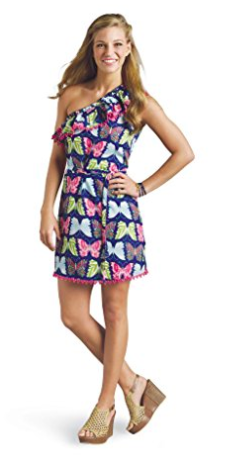 Wear it for a casual day at the office or a formal night on the town. 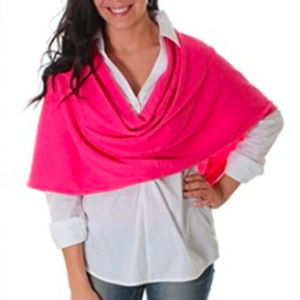 AIRY & LIGHTWEIGHT: It drapes gracefully over clothing as a chic accessory to add color and charming class to your look. It’s light enough to bring with you anywhere and compact enough to store in your purse or office desk drawer. COMFORT: Luscious to the touch, it’s ultra-soft and silky feeling to use as a cozy wrap around the shoulders or around the neck. PREMIUM FABRIC: 100% Polyester. Hand Wash in cold water. 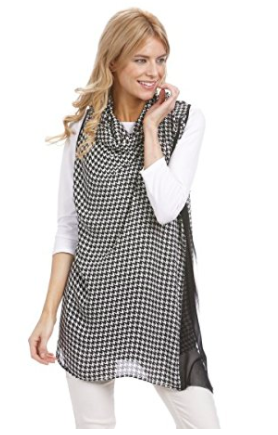 Exuding an effortless sense of personal style and natural elegance, the hounds tooth scarf wrap is an indulgent mix of trendy and practical. This luxurious wrap is characterized by graceful simplicity and transforms any outfit into a timeless look worth remembering. Ultra-soft fabric allows for maximum comfort and an added layer of style. 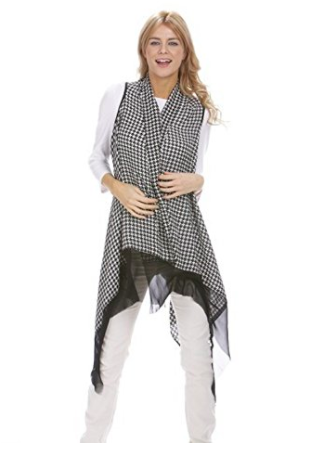 The scarf wrap allows for easy movement and flexibility while ensuring you stay up-to-date with the latest fashions. 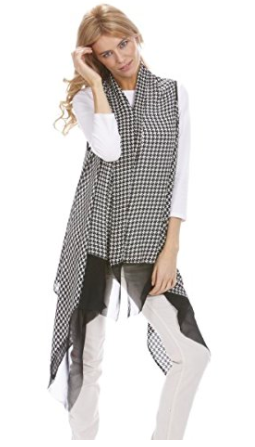 The ample wrap size measures 70″ x 37″ and has two arm holes allowing for greater versatility, and enabling the piece to be worn in a variety of occasions: For casual days at the office when the air is a little too chilly and can move to more festive nights on the town when your outfit needs an extra pop. It’s the perfect accent to shift between temperatures. 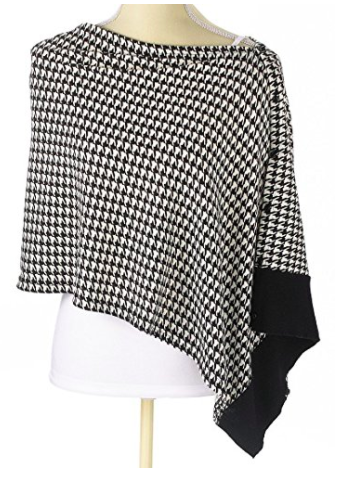 The houndstooth pattern captures the look of the season perfectly and adds a regal finishing touch on your outfit. Made from 100% polyester, the premium fabric provides a flowing and textured look to compliment any figure. The lightweight fabric makes it easy to carry with you on-the-go and folds up nicely as you travel.